The EUR/USD currency pair keeps moving inside the descending pattern. By the moment the price has been corrected into the area of the 5th point of reference, which is expected to be a starting point of the final falling wave inside this pattern. 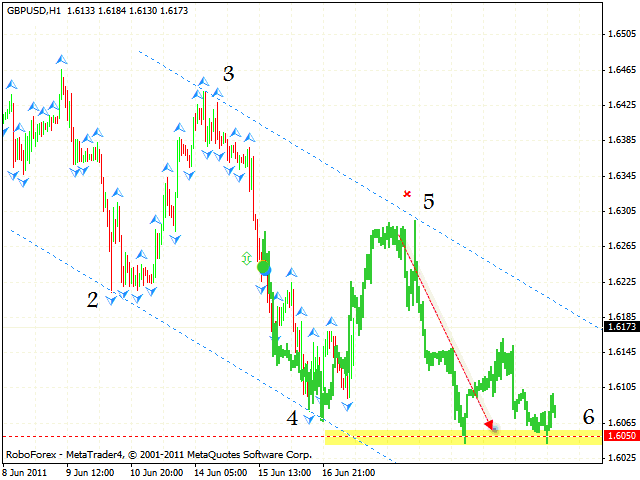 One can consider selling the pair with the tight stop and the target in the area of 1.3870. But if the price breaks the channel’s upper border and leaves it, this case scenario will be cancelled. The GBP/USD currency pair is testing the neckline (which is a support line here) at the daily chart. At the hourly chart of the pair we can see the formation of the descending pattern with the general target in the area of 1.6050. 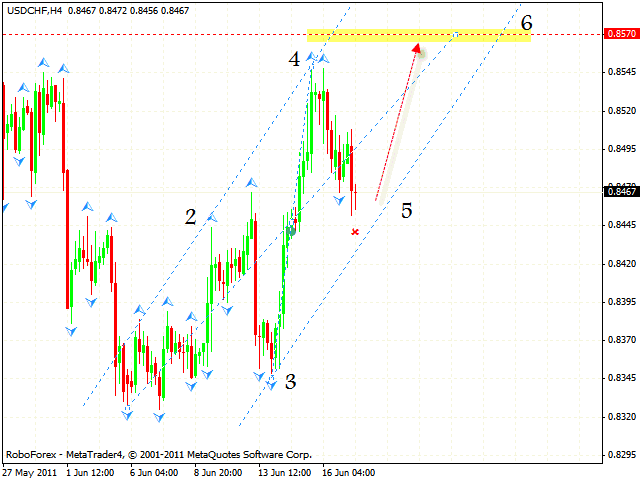 One can consider selling the pair near the channel’s upper border in the area of 1.6265. If the price leaves the channel, this case scenario will be cancelled. 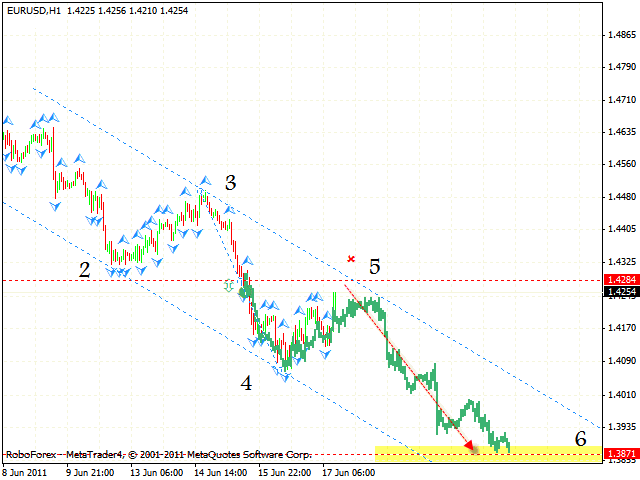 Franc is moving inside the rising pattern, the price has reached the area for sales. One can try to buy the USD/CHF currency pair with the tight stop below 0.8445, the target of the growth is the area of 0.8470. But if the price breaks the level of 0.8545 at the daily chart o the pair, there will be some potential for “head & shoulders” reversal pattern with the target in the area of 0.8775 to be completely formed. The EUR/JPY currency pair is moving inside the descending pattern with the target in the area of 111.35. Currently we should expect the price to test the level of 112.10, and then to be corrected to the channel’s upper border in the area of 114.50. 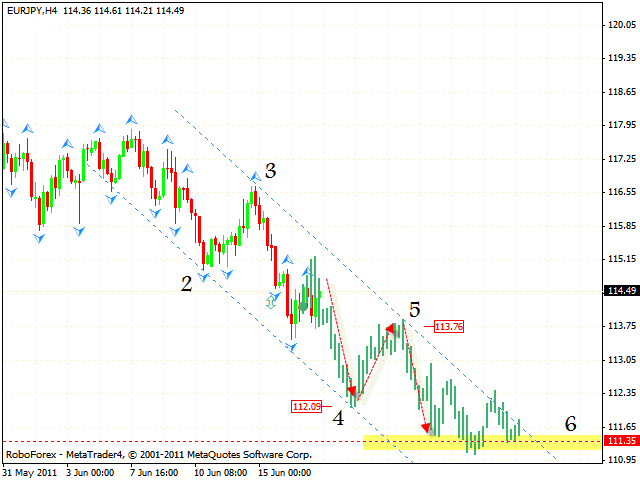 Here one can consider selling the pair with the tight stop and the target of 111.35. If the price leaves the channel, this case scenario will be cancelled.